Ono no Komachi was a court woman in 9th century Japan and one of the nation's greatest poets. She was also a legendary beauty with many suitors, one of whom was Fukakusa no Shôshô. It is said Komachi told Fukakusa that if he courted her for one hundred nights, sleeping outside next to her carriage, she would consent to be with him. He did this for ninty-nine nights, but on the hundredth, he died. The noh play Kayoi Komachi tells the story of a tormented Fukakusa who haunts her even in death. 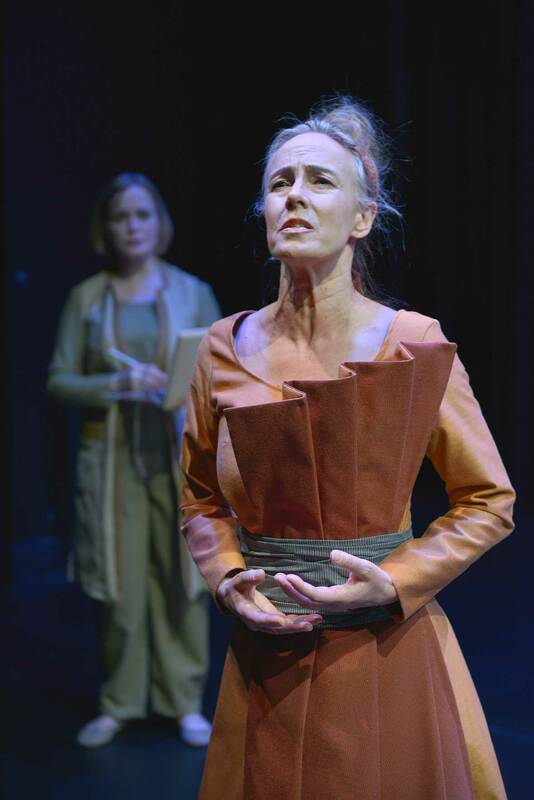 TomoeArts has taken this part of Komachi's history and created a contemporary story of poetic brilliance and tormented love. The original score uses noh chant and weaves it together with elegant melodies of strings, flutes, voice and both western and noh percussion. Kayoi Komachi/Komachi Visited is a moving tale of a deep but troubled passion and a man and woman's desire for real understanding. The libretto has been created from the noh texts Kayoi Komachi and Sotoba Komachi (translated by David Crandall) and Komachi's own waka poetry (translated by Sonja Arntzen), music is composed by Farshid Samandari, music direction by Jonathan Girard, stage direction by Colleen Lanki, choreography by Yamai Tsunao, costume design by Ines Ortner and lighting by Jeff Harrison. 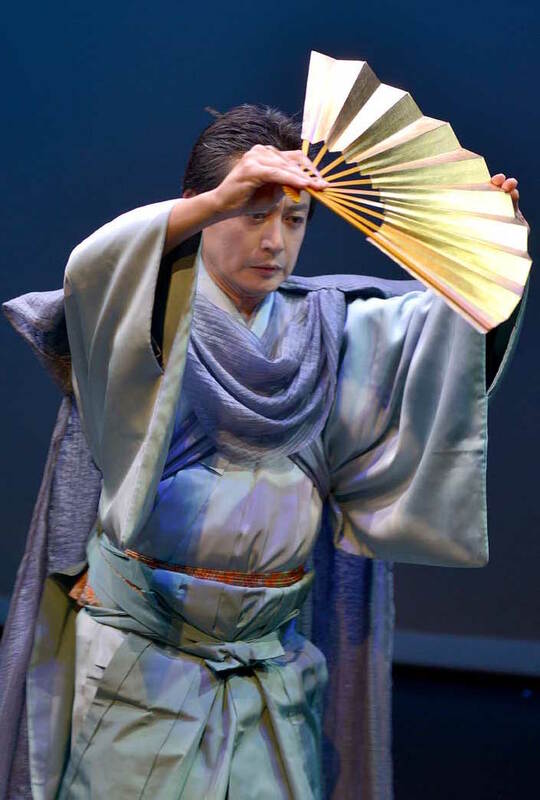 Featuring master Komparu School noh actor Yamai Tsunao as Fukakusa and renowned Canadian soprano Heather Pawsey as Komachi. WITH: Melanie Adams, Joseph Bulman, Peter Monaghan, and noh actors Muraoka Kiyomi and Kashiwazaki Mayuko. Also featuring guest kotsuzumi (noh shoulder drum) player Omura Kayû. Read a review in Schmopera: "A fascinating marriage of art forms"
Read a review in The Dance Current: "Hauntings and bleeding hearts..."